Delta just attended SPS IPC Drives (SPS), one of the world’s most prestigious industrial automation events. The grand exhibition took place from November 26 to 28 in Nuremberg, Germany, and Delta showcased a diversified portfolio of thirteen solutions targeting field applications and energy savings with outstanding products and compelling live demonstrations. 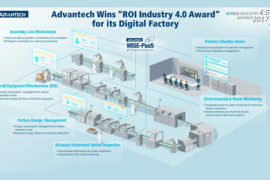 Delta’s thirteen high performance solutions featured factory energy saving automation, machine automation, high-end industrial machines, motion drives, water treatment processing, HVAC, elevator energy-saving, crane energy-saving, power quality, and gantry, plus products such as industrial Ethernet switches, human machine interfaces, and industrial power supplies. With integrated functions that deliver exceptional performance and energy-saving results, Delta’s solutions satisfy multiple needs, significantly saving time, costs, and resources, providing the technical entry needed for field applications, and delivering optimum client benefits. Of all the displays, Delta’s power quality solution was among the most discussed. 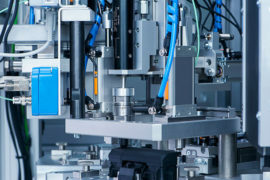 Delta Industrial Automation has been promoting its high-efficient power quality solutions in recent years. This solution includes the SVG2000 Series static var generator, the APF2000 Series active power filter, and the AFE2000 Series active front end. It is able to realize reactive power compensation and raise the power factor up to 0.99 while effectively suppressing harmonics. 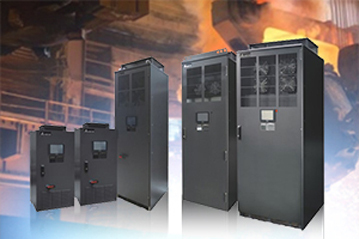 Delta’s power quality solution can greatly improve power quality and efficiency and also regenerate power. Delta presented a live demonstration to show the power efficiency of Delta’s power quality solution. This live demonstration adopted the APF2000 Series for harmonics suppression and presented highly effective power quality improvement. It soon became the most popular display at Delta’s stand. 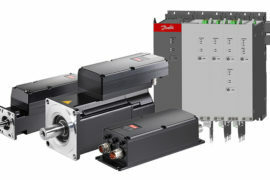 Aside from power quality improvement, Delta also demonstrated a demo set of linear motors for high-speed motion and precise synchronous/asynchronous positioning, which showcased Delta’s advanced technologies for high-speed, high-precision and high-performance industrial automation products. 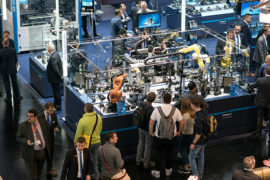 SPS is a world-class professional event that gathers the leading brands, professionals and media of the automation industry from around the world every November in Nuremberg. 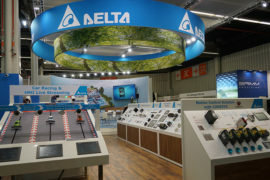 With power efficient products and solutions, Delta’s display satisfied customer demands for cost-effectiveness and advanced technologies, and became one of the most popular exhibitors during the event. Since 2011, Delta has participated in the SPS in Nuremberg every year, bringing its most practical and energy-saving automation products and solutions. 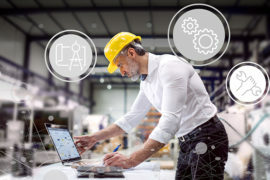 Delta Industrial Automation continues to provide industrial markets with the most innovative, advanced and green automation products and solutions for creating a better tomorrow and environment with its global customers.